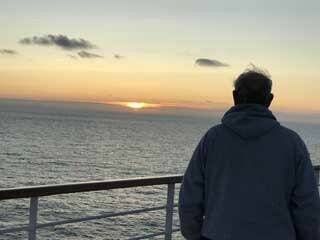 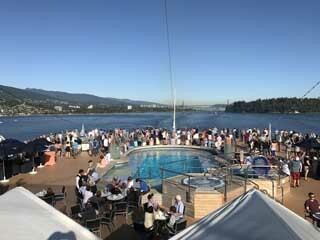 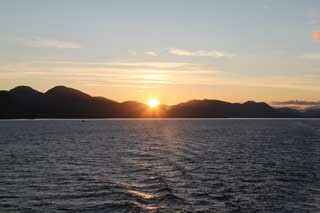 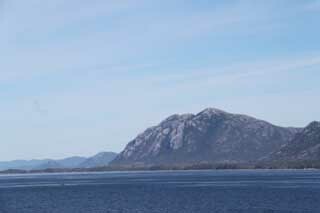 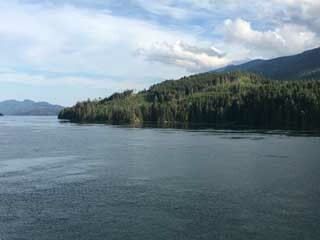 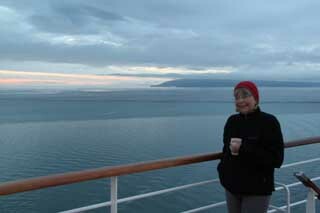 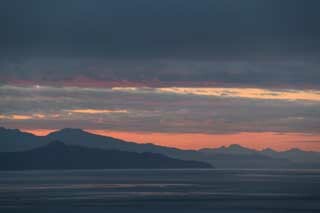 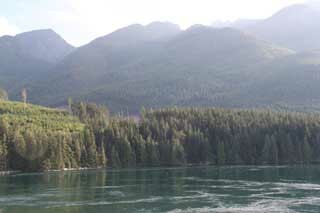 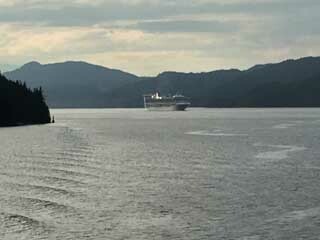 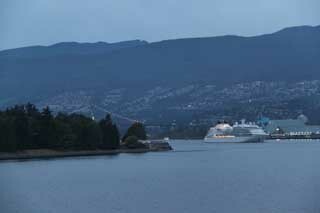 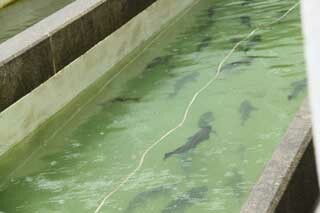 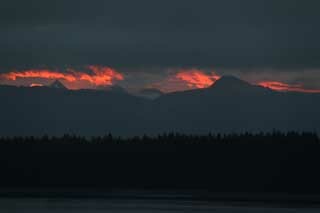 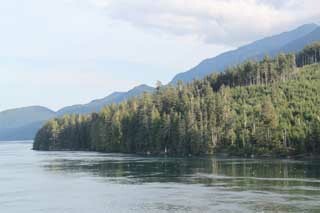 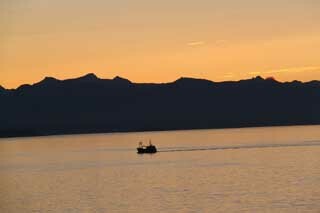 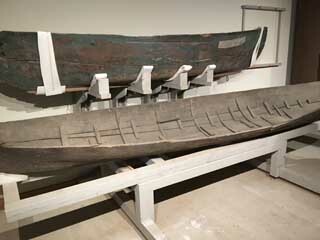 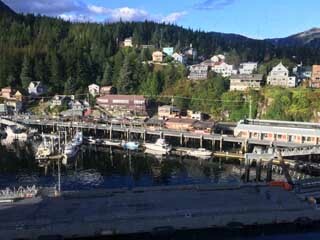 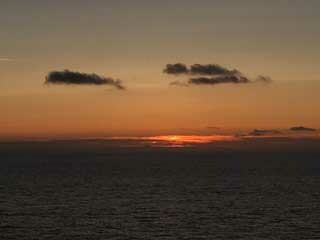 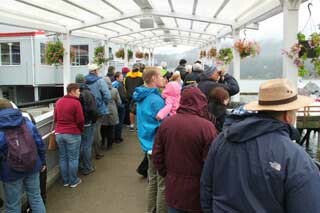 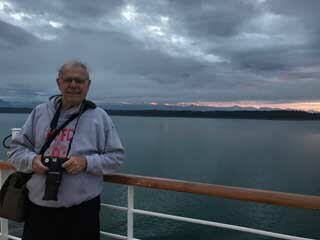 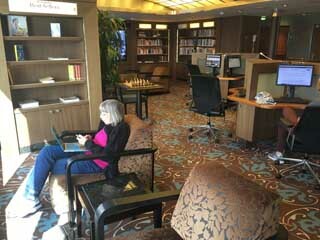 We left Vancouver on Saturday morning, Sept. 2 for a 7-day cruise of the Alaskan Inside Passage. 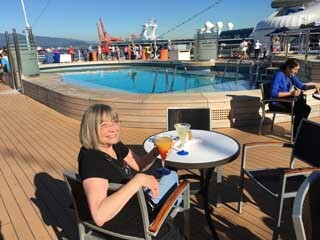 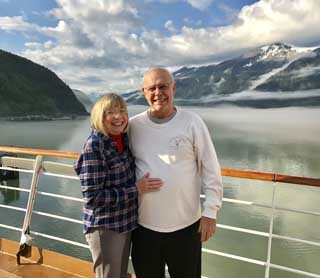 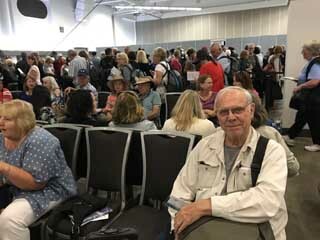 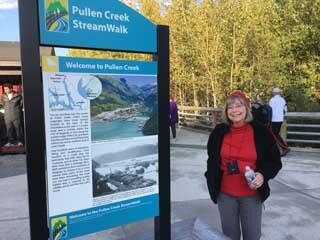 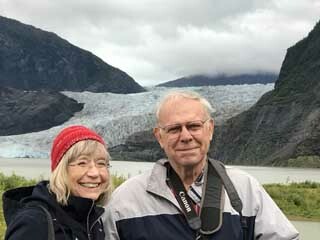 Our itinerary on the Holland America cruise ship Nieuw Amsterdam took us north through the Inner Passage of British Columbia to Juneau, Alaska, then north to Skagway, south to Glacier Bay and Ketchikan, returning to Vancouver on Saturday, Sept. 9. 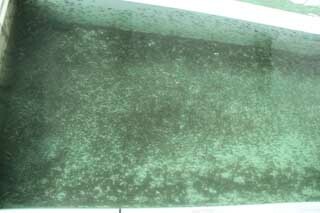 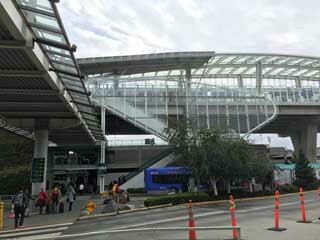 The Air Canada flight left Vancouver at 8 pm and after retrieving our car at the Park, Shuttle, Fly lot at 3405 Harbor Drive, we were back home at midnight. 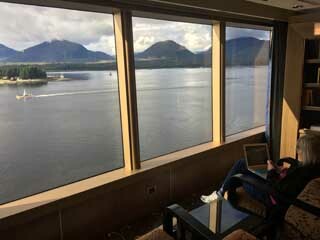 Day 1 - September 2 - Vancouver, B. C.
Crow's Nest in the Observation deck. 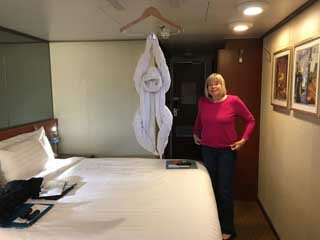 A different towel sculpture each night. 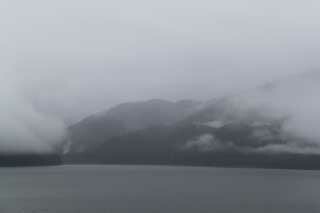 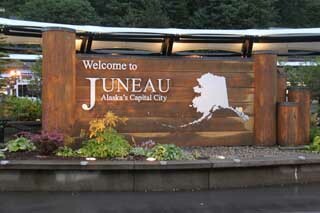 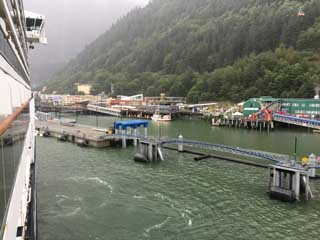 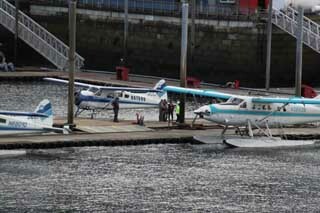 It was a cloudy day with some light rain when arriving at Juneau. 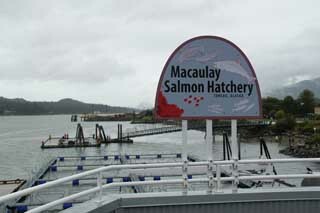 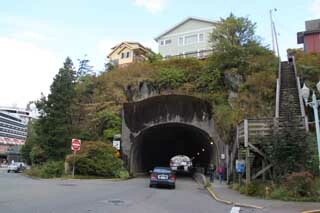 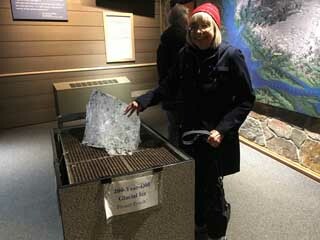 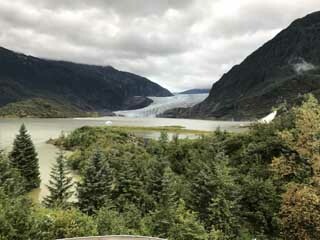 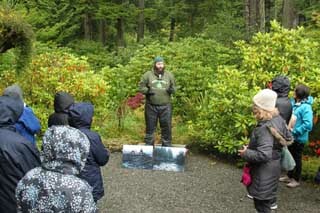 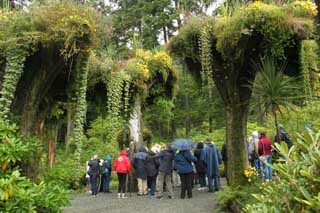 We decided to take the half-day Grand Tour of Juneau that included a bus ride to the Macauley Salmon Hatchery, Glacier Gardens and the Mendenhall Glacier Park. 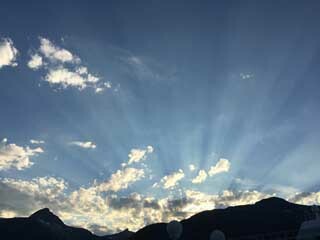 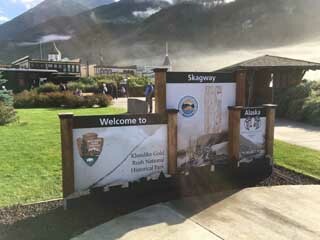 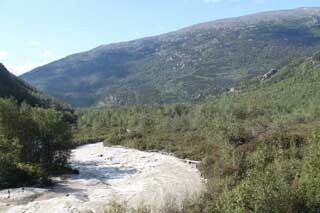 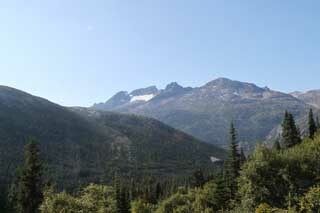 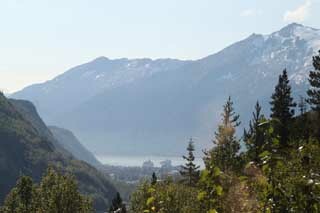 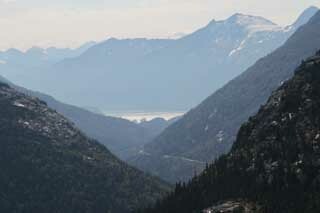 It was a sunny day with a few clouds when we arrived at Skagway at 7 am. 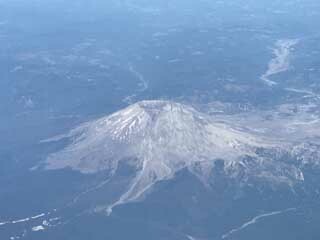 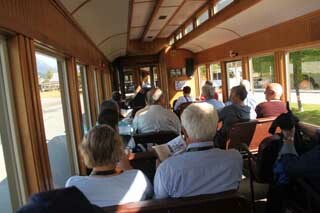 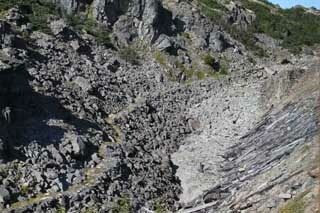 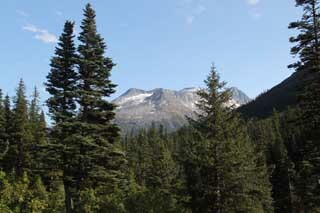 We walked around town in the morning, then took the White Pass Summit railroad tour in the afternoon. 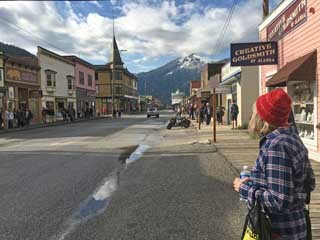 Cruise ship at end of Skagway's main street. 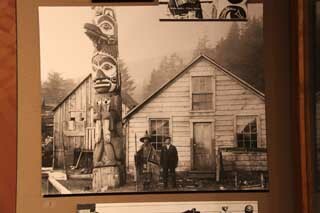 Dance Hall girls from the "Days of '98" show in the windows of Eagle Hall. 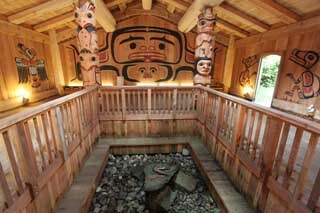 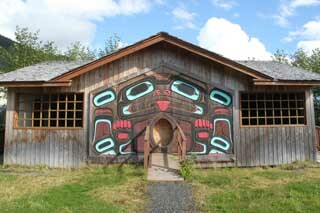 Arctic Brotherhood Hall with front wall of driftwood. 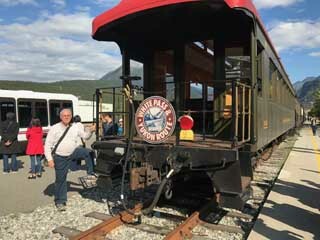 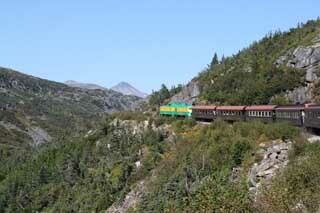 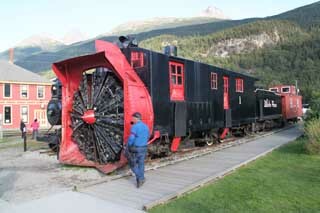 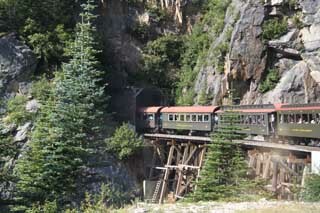 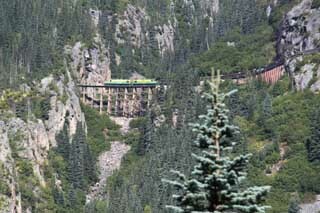 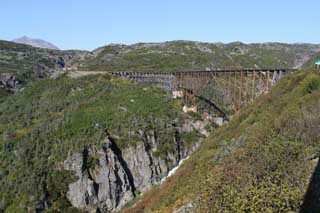 White Pass & Yukon railroad, "Gateway to the Yukon"
Original miners' trail before railroad built. 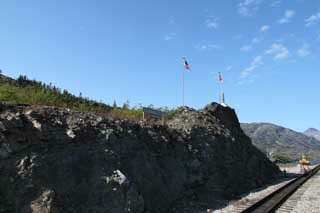 Canada border at White Pass Summit. 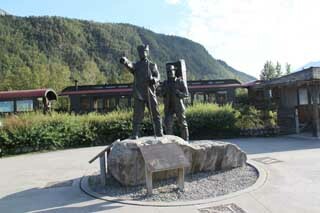 Skagway Centennial Statue dedicated 1997. 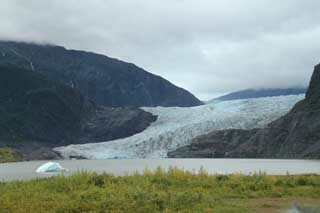 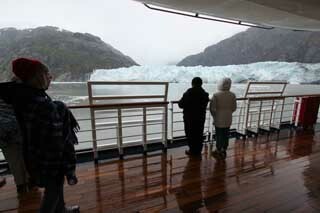 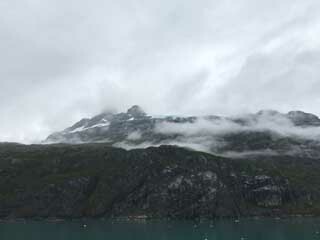 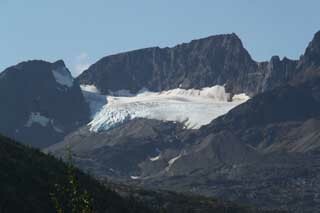 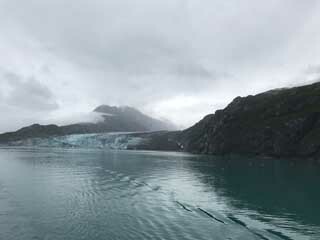 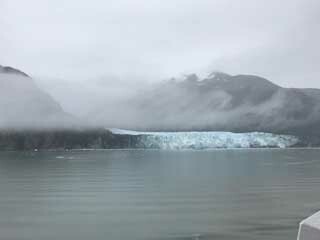 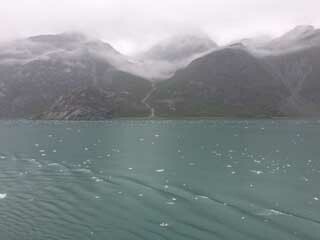 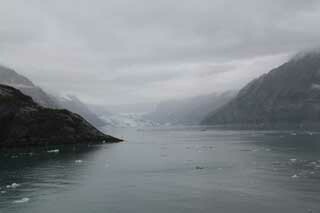 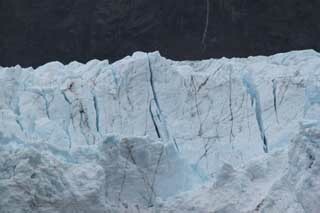 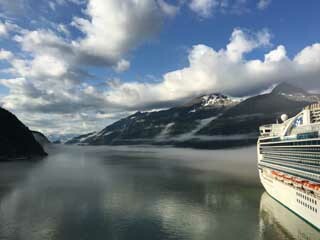 It was a cold and cloudy day when we sailed south from Skagway around Gustavus and entered Glacier Bay. 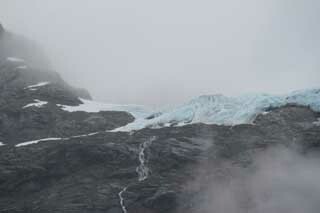 We passed several glaciers in the morning before halting for an hour at the Margerie Glacier that was active and calving. 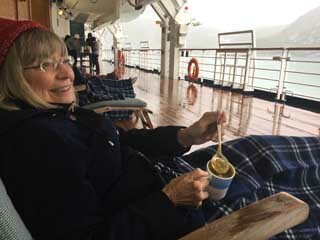 It's a tradition on Holland America to serve Dutch Pea Soup on deck while in Glacier Bay. 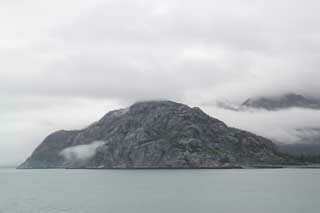 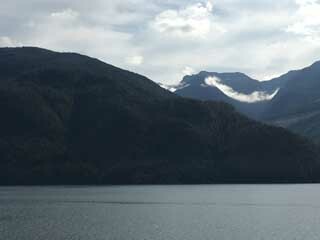 It was a sunny day with some clouds when we sailed through the Inside Passage from Glacier Bay to Ketchikan. 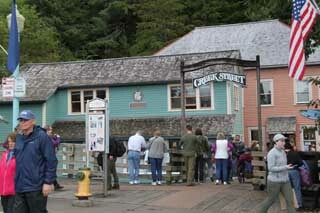 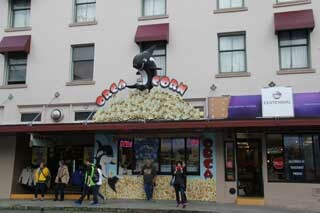 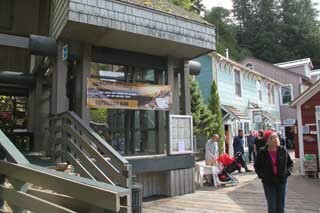 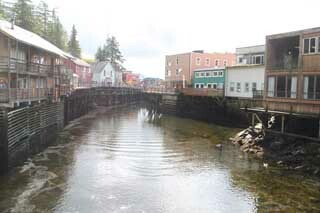 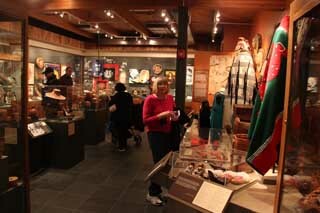 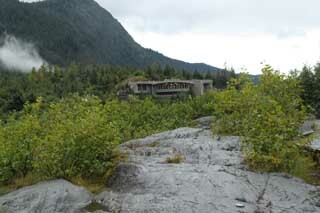 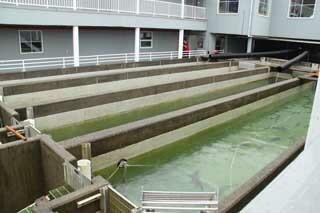 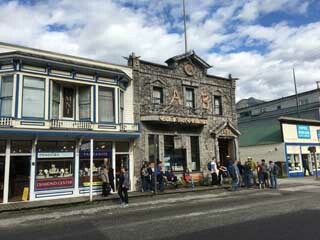 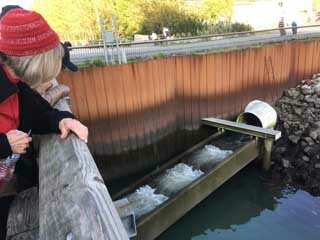 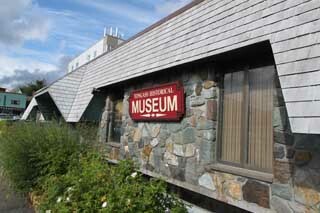 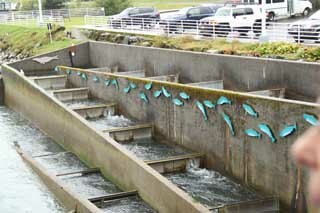 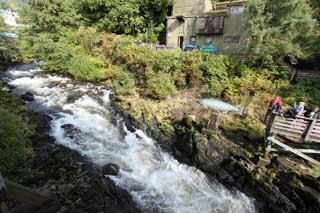 In the morning we walked around town and visited Creek Street and the Tongass Museum. 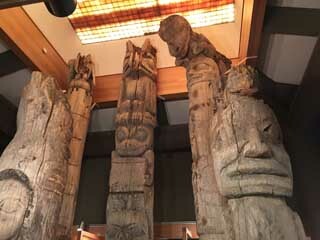 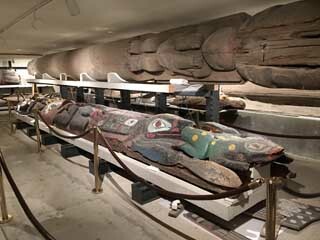 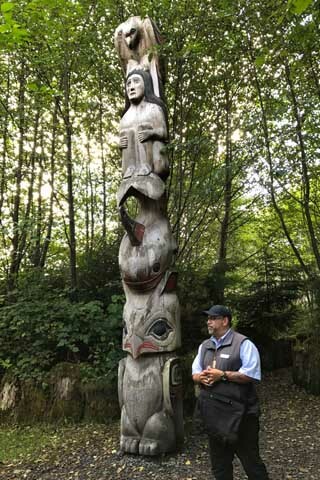 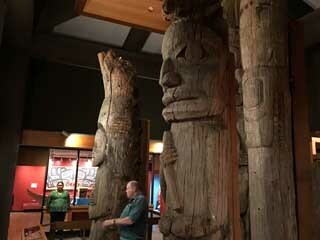 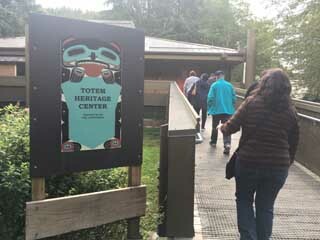 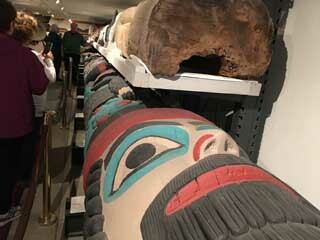 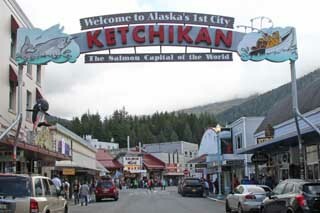 In the afternoon we took the Ketchikan Cultural Discovery tour that included a bus ride around town, stopping at the Totem Heritage Center and Potlatch Park. 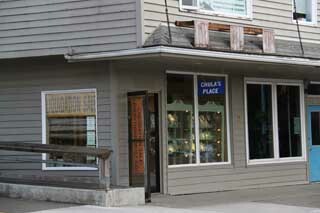 Who would have thought you'd find a store called Chula's Place in Alaska. 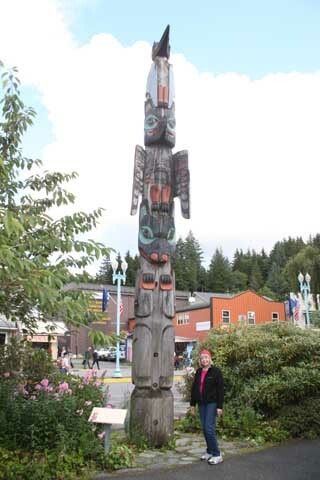 Carol wondered if it might be owned by transplanted Chula Vistans, but it turned out that the store was just named for the owner's dog, called Chula because she was a pretty girl. 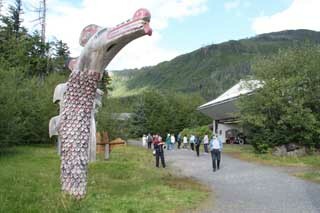 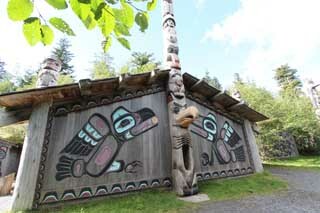 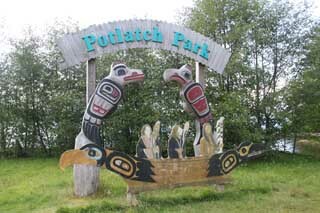 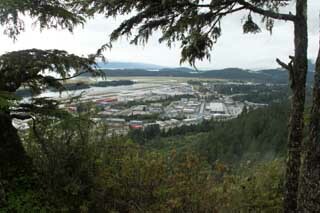 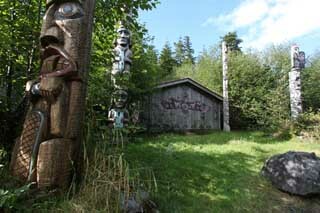 Tlingit Village in Potlatch Park. 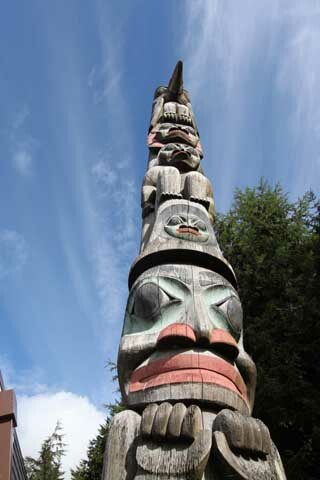 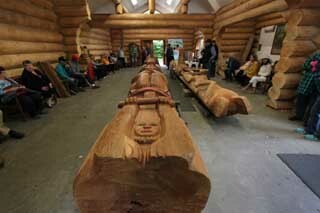 Totem carving in Potlatch Park. 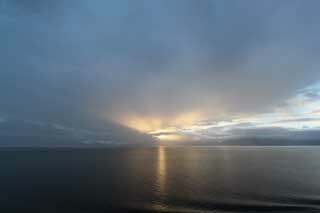 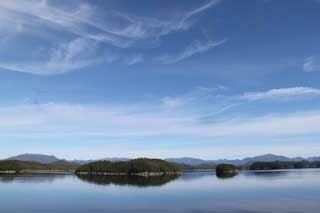 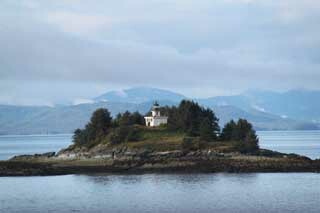 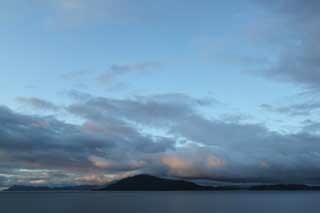 It was a sunny day with some clouds when we sailed from Ketchikan through the Inside Passage south toward Vancouver. 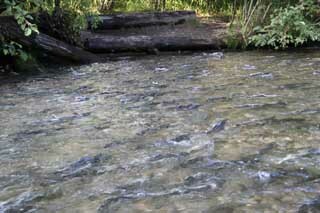 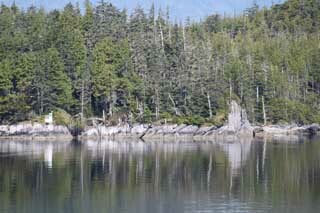 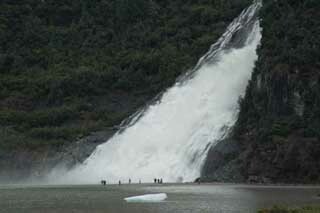 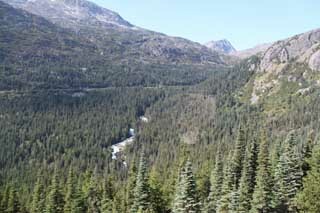 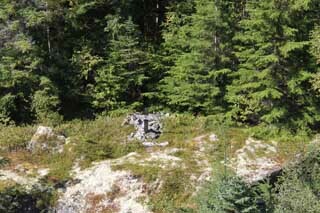 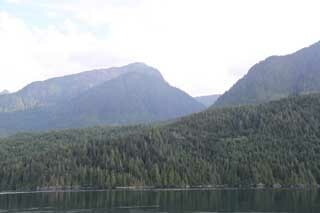 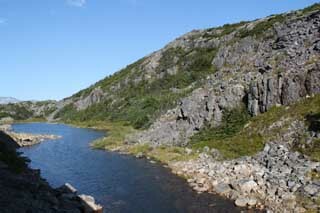 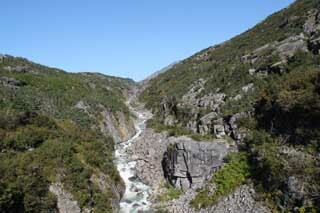 Tongass National Forest is the largest in the United States. 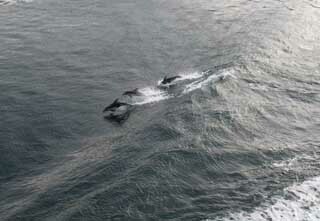 These are just a few of the Pacific white-sided dolphins that were swimming outside our balcony on our last day at sea. 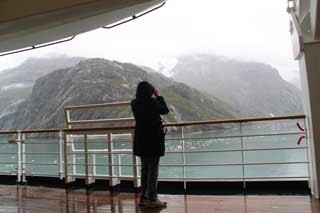 There were literally dozens of them frolicking in the ship's wake. 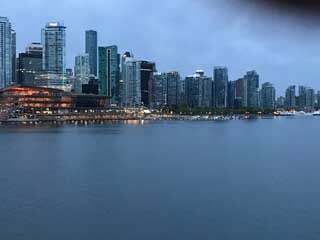 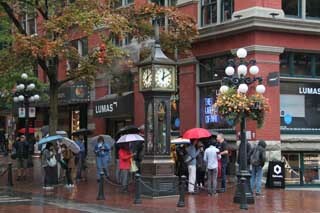 It was a cloudy day with showers when we arrived at 7 am in Vancouver. 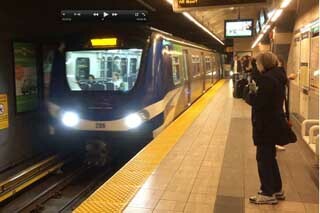 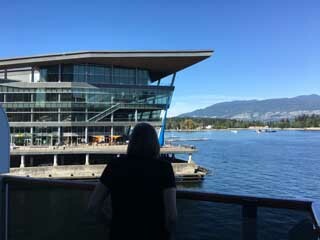 We took a tour of the city on the Hop On Hop Off tour bus, then took the subway to the Vancouver airport for our 8 pm flight home. 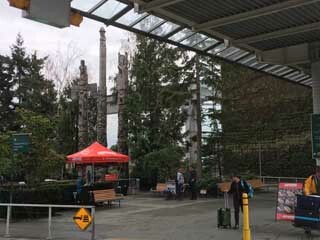 Totems in Chester Johnson Park at Vancouver airport.